1. Tickets will be printed in five series. given to the agents concerned as agents commission on prize from Government fund. 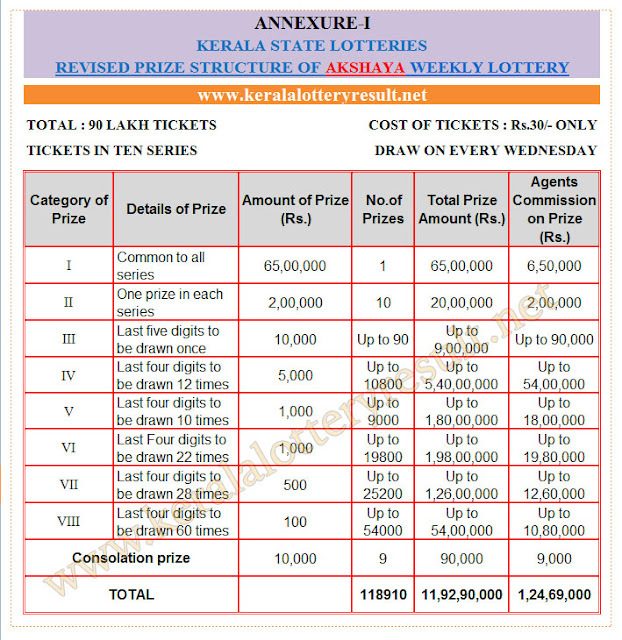 17.The prize winners shall prefer their claims within 30 days from the date of draw . 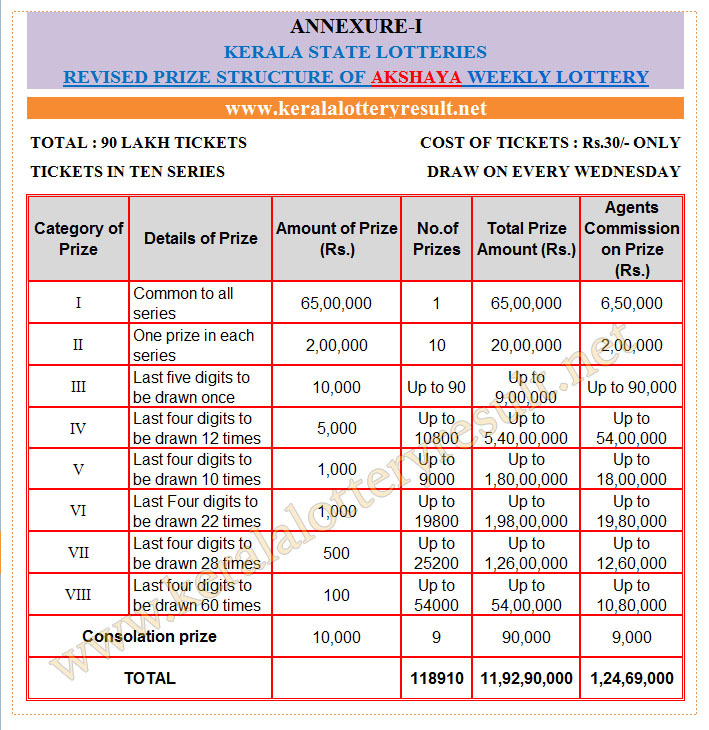 21.Legal jurisdiction of this Lottery will be at Thiruvananthapuram.